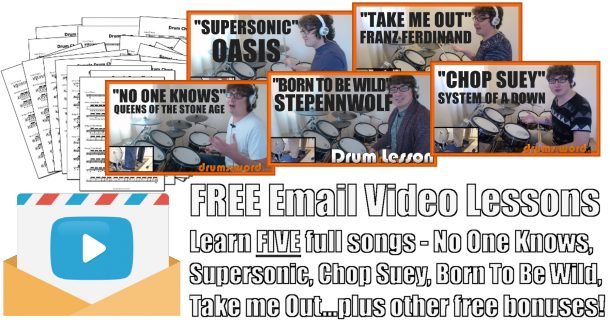 In this free drum lesson, I want to give you the FULL free PDF Drum Chart to the song “Run” by the Foo Fighters, featuring the drumming of Taylor Hawkins. The new single was released a couple of weeks ago as of writing this, and I immediately fell in love. As usual, Taylor (with Dave’s influence no doubt) has created a series of drum parts that fit the music perfectly. Each section gets it’s own grooves and repeating drum fills that blend the song into one effortless track. 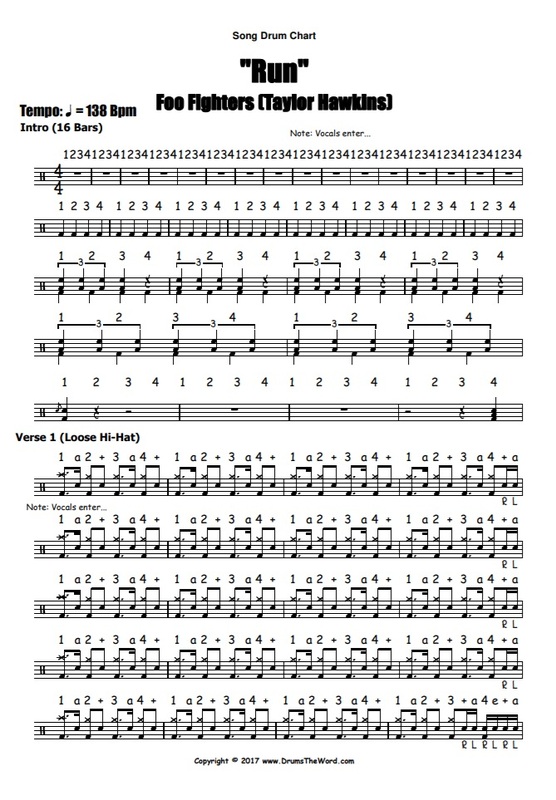 This really is another example of great drum part writing!